St. Martin's Paperbacks, 9781250314918, 320pp. Caroline Carruthers married young to a much-older man. Now that he’s gone, she’s lost…until she dares to chase a dream all on her own. Moving to Redemption, Texas, is chapter one in Caroline’s new life story. Opening a bookstore is the next. Finding love is the last thing on her mind as she settles into this new place called home. But when she meets a handsome, soulful man who’s also starting over, all bets are off. 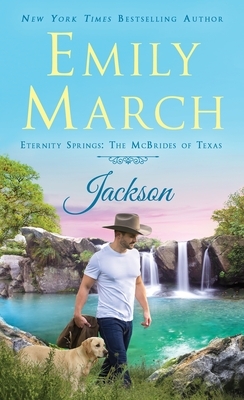 Jackson McBride came to Redemption looking only to find himself, not someone to love. Ever since his marriage ended, he’s been bitter. Sure, he used to believe in love—he even has the old song lyrics to prove it—but the Jackson of today is all business. That is, until a beautiful young widow who’s moved to town inspires a change of heart. Could it be that the myth of Redemption’s healing magic is true…and Jackson and Caroline can find a second chance at a happy ending after all?